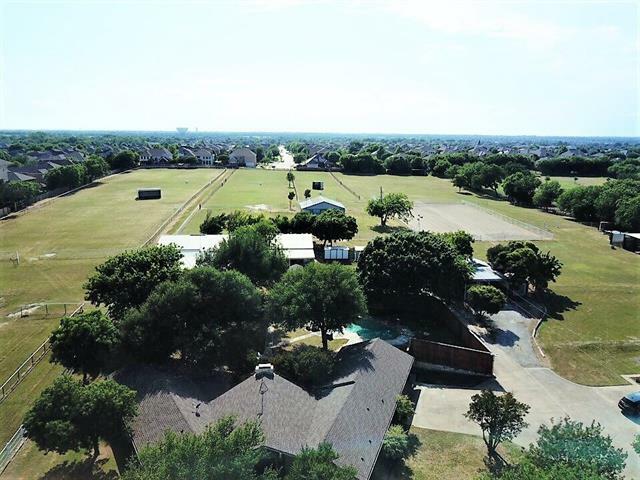 All Desoto homes currently listed for sale in Desoto as of 04/18/2019 are shown below. You can change the search criteria at any time by pressing the 'Change Search' button below. If you have any questions or you would like more information about any Desoto homes for sale or other Desoto real estate, please contact us and one of our knowledgeable Desoto REALTORS® would be pleased to assist you. "This extraordinary Frost Farms private estate sets a new standard of luxury. 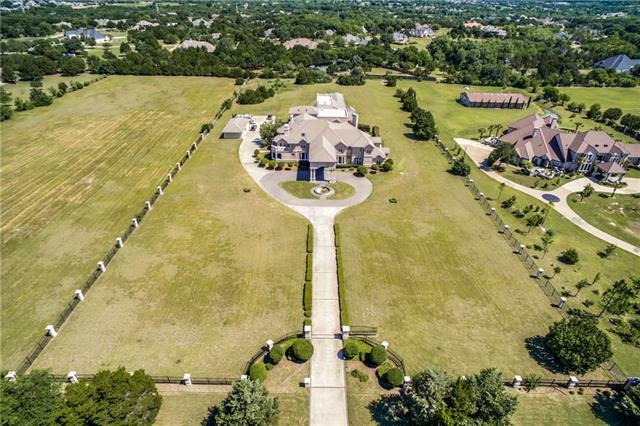 With all of its grandeur and scale, the residence includes seven bedrooms and five bathrooms with two half-baths and rests on just under 5 acres. From the private drive, enter the home through heavy custom iron doors and into a soaring atrium with 30+foot ceilings from which all other rooms branch. Brand-new Wolf and Sub-Zero kitchen appliances with new hardwood floors welcome you to this impressive home. 10-foot window"
"You won't believe this hidden gem! Incredible 5-bdrm, 3-bath, modern-style home on 3 acres w- a pond, indoor swimming pool w- retractable roof & detached racquetball court. Large attached in-law suite w- separate full kitchen, living & entrance. Massive auditorium for media room of your dreams w- large 2nd room for hobbies, home school or game rm. Updated kitchen, bathrooms & flooring in the main house. Massive storage rooms. Currently used as a church-parsonage. Zoning allows continued use as r"
"Beautifully Gated Estate sits privately on 5 acres, It has exquisite details throughout the home.The floor plan is unique & spacious.Master suite, library, media room, office are all located on the 1st level.Marble flooring, Adobe ceramic tile, plush carpet upstairs.All bathrooms are tiled, have sliding glass doors for shower tub.Media room has it's own kitchen and high tech Bose Media system.You can see the resort style pool from almost every room in the home.Golf cart included.4car garage and "
"Exclusive Luxurious Estate Home, in the private gated community of Windmill Hill Estates. Enter beautifully landscaped grounds expecting quality and exclusivity separate guest parking dual spiral staircases, crystal chandeliers, hand painted domed ceilings walls and kitchen vent , deep cut crown moldings marble floor entrance. Huge great room overlooking patio pool spa and greenbelt adjacent to expansive island kitchen with stainless Viking appliances and Sonic Pellet ice maker, Breathtaking m"
"HORSE DREAM PROPERTY IN GREAT LOCATION. Beautiful Home With Privacy and Long Tree-Lined Driveway. Home Offers Some Updates. Come Finish Adding Your Updates. Mature Trees. Large Rooms. Heated Swimming Pool and Hot Tub. Sun Porch. Growing Neighborhood with New Homes Nearby. Several Barns and Stables for Private Use or Horse Boarding. Updated Caretakers Quarters in Barn. Horse Race Track for Training. Covered Steel Frame Round Pen With Good Sand. Arena With Lights and Loading Area and Great Soils. " "This luxuriously remodeled home in gated neighborhood, will stop you in your tracks! 6 bedrooms with 5.1 bathrooms... 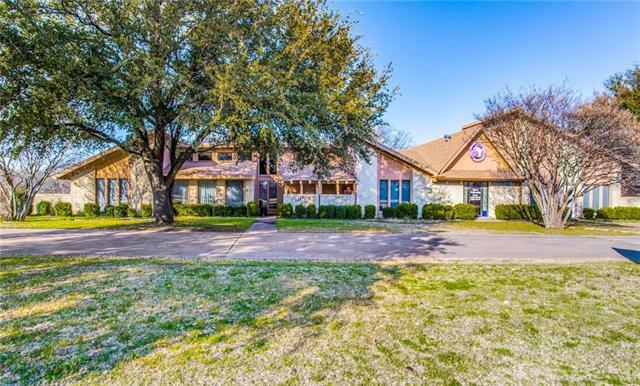 Huge master retreat with separate sitting area, walk-in his and her closets, free-standing soaker tub in master, oversized backyard with covered patio...BUT WAIT...THERE'S MORE! 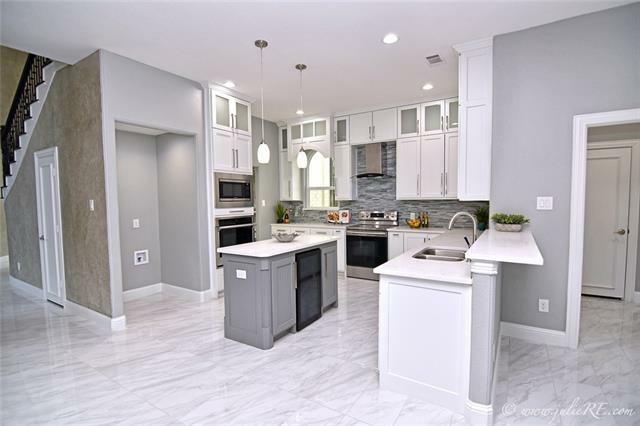 quartz countertops in kitchen with stainless steel appliances, 3 fireplaces in home, office, wet bar, nice size media room, brand new Bellaforte Brownstone slate roof, to much to list!! 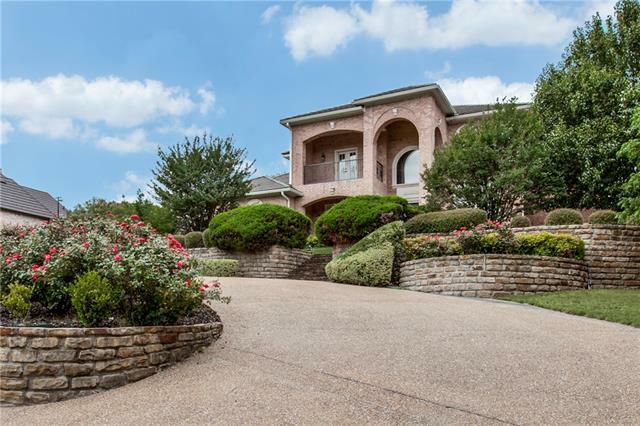 This beauty needs "
"Gorgeous Custom Home with Elevator! 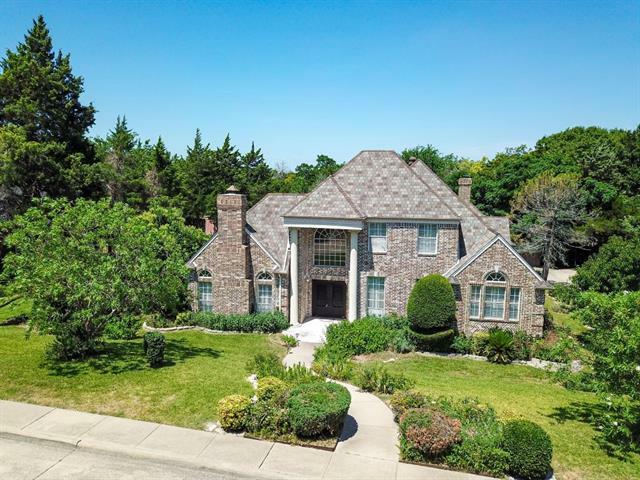 Enchanting & Elegant home boasts marble floors, custom wood built-ins throughout, an elevator, 3 living areas, wine cellar, theater room with wet bar, office with wet bar, 2 master suites, 2 story living room, tray ceilings, stainless steel appliances and granite in kitchen. Escape to an outdoor patio that becomes indoor with automatic window coverings. Enjoy a workout in custom built, detached private gym. Entertain in the outdoors in a custom built gazebo, f"
"PROFESSIONALLY REMODELED w-modern design on .785 acre. This beauty features high-end custom contemporary finishes, 2 living areas, open concept kitchen w-brand new shaker cabinets, wine fridge, custom-built bath vanities, stone counters, & so much more. Modern entry door w-a new captivating 6-ft crystal chandelier, custom wrought-iron rails, & LED lights throughout. 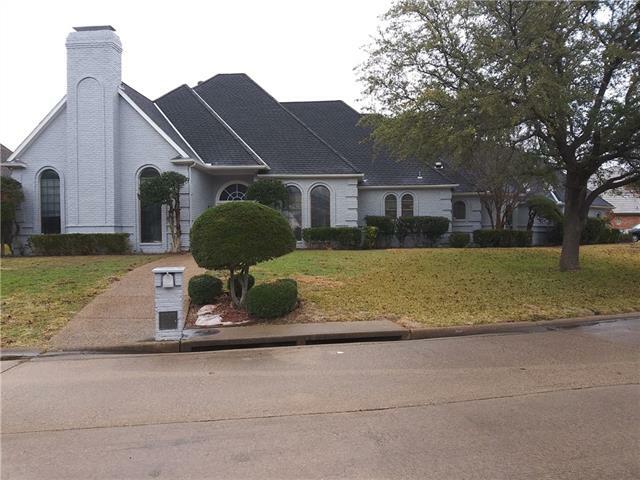 New 2018 permits pulled for electrical, mechanical & plumbing w-new sheetrock, attic insulation, paint, & fresh landscaping w-uplig"
"MLS# 14058344 - Built by First Texas Homes - Ready Now! ~ This gorgeous home has the stone castle front view. Inside has lovely wood floors in entry, extended entry, family room, formal living & dining, kitchen & nook and study. Granite countertop, ceramic floors, California island, walk-in pantry, double oven & 5-burner cooktop in kitchen. Curved wood staircase with rod iron railings, stone fireplace to mantle, gameroom, wet-bar & surround sound in media room, framed mirrors in master bath, jet"
"Stately home in gated Regents Park community. Beautiful details throughout this home. Island kitchen, cooktop replaced 2017, formal dining and living areas, master suite on the first floor, den with fireplace, office with built-in bookshelves and desk. Upstairs you'll find 3 more bedrooms and an additional living area with wet bar. Step out onto the fully covered balcony from this living area. Nice backyard pool for relaxing during those hot summer months. 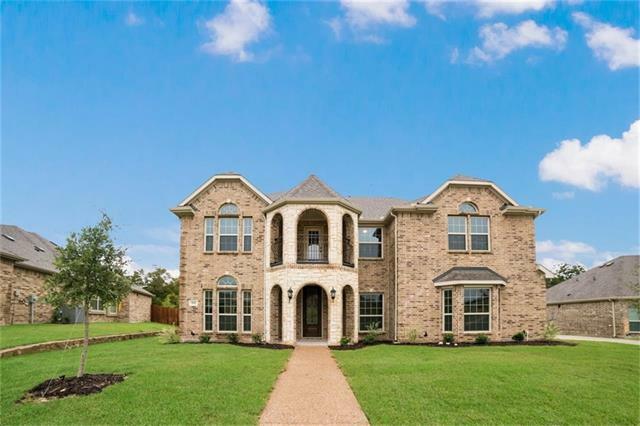 Roof Replaced in 2017, photos do not "
"***Fabulous***luxury Frost Farms beauty, spacious rooms, beautiful custom tile floors through the downstairs, custom wall painting, carpet in up bedrooms, huge island kitchen features stone countertops, walk in pantry, stainless steel appliances and flows into the open floor plan of a den with a wall of windows. Downstairs master suite is a dream of relaxation with jetted corner tub, separate corner shower, custom closet system. Other amenities include 3 car garage & upstairs game room. 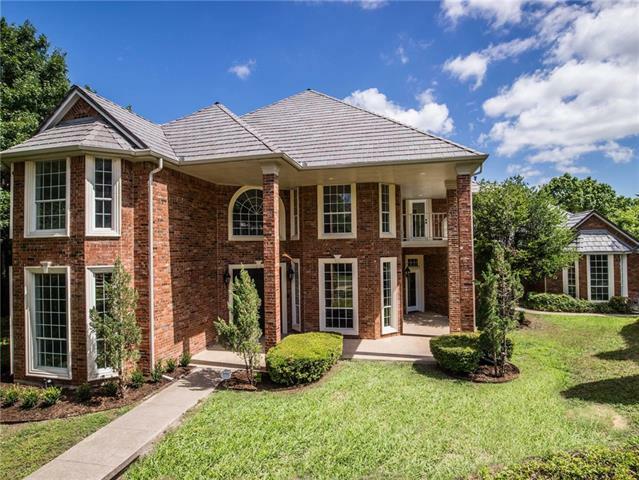 Back yar"
"Located in the pristine community of Frost Farms where the affluent residents of DeSoto reside: 4 BDRMs, 4 BTHS, study, 2 living areas, LARGE master suite with HIS & HER CLOSETS, laundry room with sink, CHEF KITCHEN, and much more. One of the BDRMs is large enough to use as a media room. One of the secondary rooms has an ensuite bathroom. Each bedroom has LARGE walk-in-closets. HUGE Backyard - a pool would fit perfectly! Drive way spans from access road through a stoned driveway arch - FULL O"
"Stunning!! Single Story 4 bed 3.1 bath located in the desirable Silver Creek Estates Community . 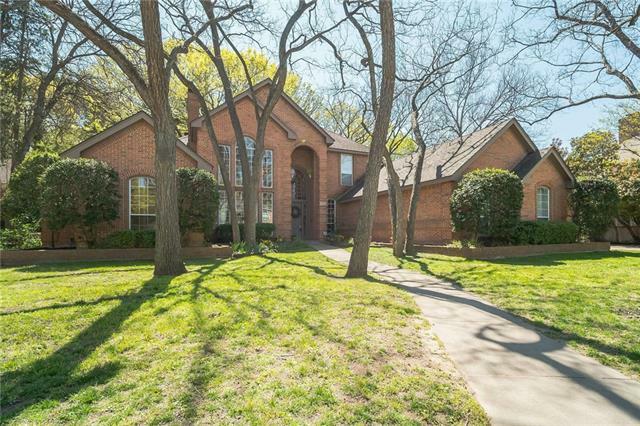 This spectacular home is surrounded by mature trees on .9 acres and only minutes from major roadways, shopping centers and eateries. A beautiful bright entry welcomes you home to an open living and dining area, soaring ceilings, with hardwood floors and a private master bedroom suite. Grab your sunscreen, your books, your blanket, and catch some rays in the radiant backyard next to the beautiful poo"
"This immaculate home has it all within 4674 square feet! 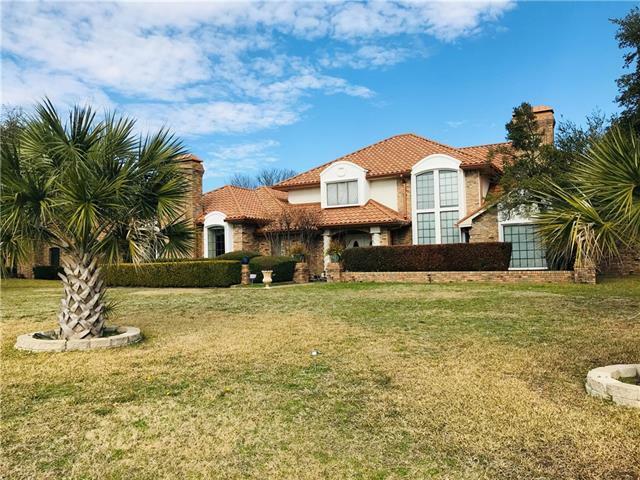 5 bedrooms, 3.5 bathrooms which includes 2 masters and a couple's suite, spacious 3 car garage, formal living, dining, office space, game room and a huge Media room. Too many amenities to name. Buyer or buyers agent to confirm all measurements, school zones, and other pertinent information." 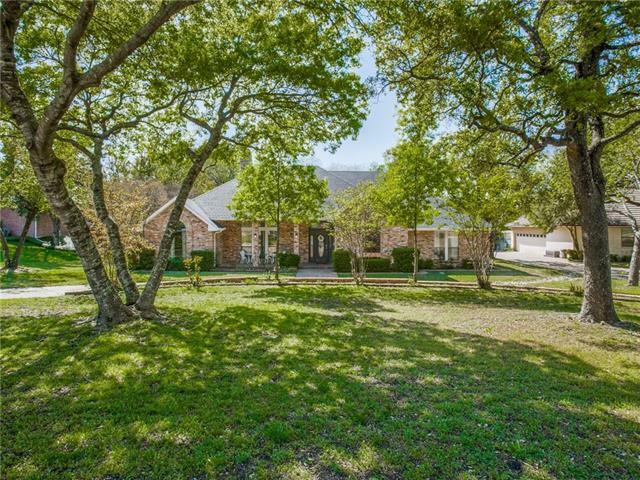 "MLS# 14001337 - Built by First Texas Homes - Ready Now! ~ Lovely home with stone front arch. Inside has wood floor entry & family room. Kitchen has granite countertop, ceramic floors, walk-in pantry, pot-filler, double oven, 5-burner cooktop & California island. 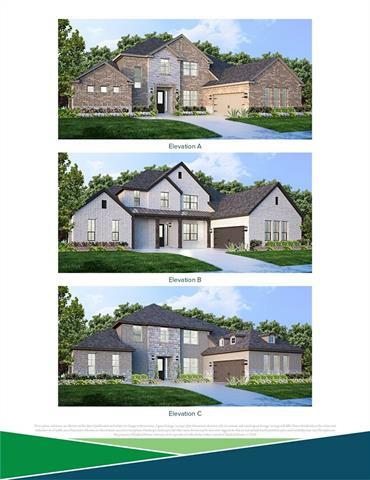 Curved staircase wrod iron railings, stone fireplace to ceiling, 2 full baths on 1st floor, jetted tub in master bath, full sod front & back, tankless water heater, gutters, radiant barrier decking, 3-car garage and much more!!" "MLS# 14048722 - Built by Kindred Homes - July completion! 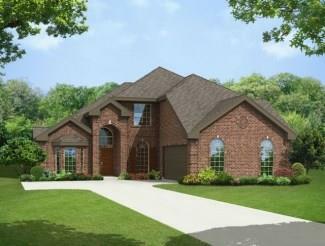 - To view go to model at 521 Midway Dr., DeSoto, 75115 ~ Gorgeous Two Story Home with 3846 sf of open living space. Featuring 5 bdrms, 3.5 baths, and a 3 car garage. 3 bedrooms, the media room and game room are upstairs. The Master plus a 2nd bedroom are down stairs. For dining you can choose between the formal dining room or the breakfast nook, both of which are spacious and feature a large window. The powder bath is located next to the "
"Exquisite home in Prestigious Thorntree Country Club Golf Community. A stunning, sleek and contemporary one-story home with lots of updates. Updated Kitchen features granite counter space and storage with upscale appliances! Family room has wet bar, gas fireplace, and skylights. Generous sized master suite has seating area and door that leads directly to patio! The master bath features oversized walk-in shower with double vanities! Open patio outside. Repair updates forthcoming." "MLS# 14048410 - Built by Kindred Homes - July completion! 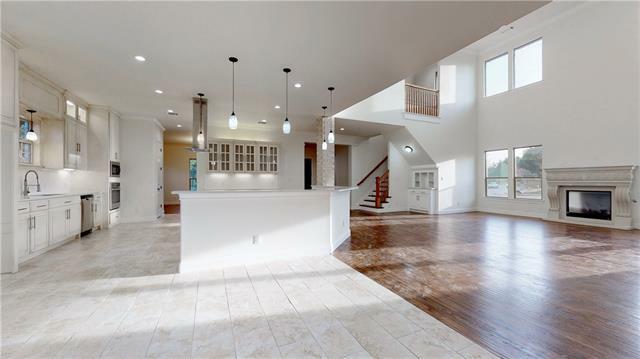 - To view go to model at 521 Midway Dr., DeSoto, 75115 ~ Gorgeous Two Story Home with 3513 sf of open living space. Featuring 5 bdrms, 3.5 baths, and a spacious 3 car garage. 3 bedrooms and the game room are up stairs. The Master plus a 2nd bedroom are down stairs. For dining you can choose between the formal dining room or the breakfast nook, both of which are spacious and feature a large window. The powder bath is located next to the s"
"MLS# 14049305 - Built by Kindred Homes - July completion! 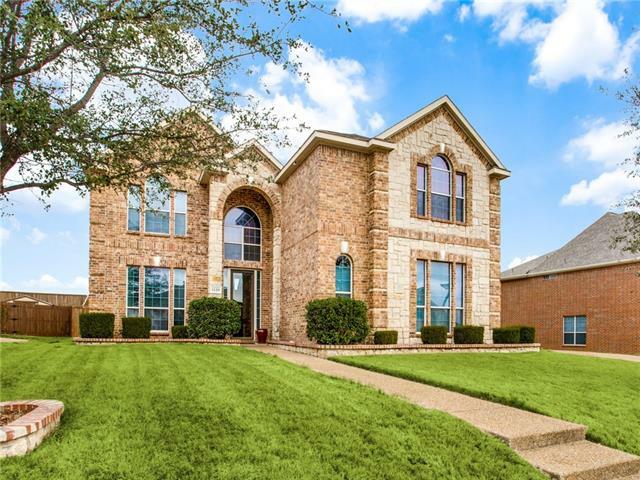 - To view go to model at 521 Midway Dr., DeSoto, 75115 ~ Unbelievable 4 bdrm 3.5 bath home. Entertainers dream. Open area from kitchen through dining and living has a total area to congregate of 22x42 overlooking a huge covered back patio. Home features 2 master suites and a study down stairs with 2 bedrooms and a game room upstairs. Elegantly adorned with wood floors, granite counter tops, and built-in oven. Outside boasts a covered fron"
"Welcome to your stairway to heaven! 309 Sandy Creek is a CUSTOM BUILT BRAND NEW HOME. It seeks the perfect resident to enjoy ALL of its offerings: 4 BRs, 3 FULL BTHs & 2 HALF BTHS, a HUGE formal DNG or LVNGRM, a spacious office for professionals, a gameroom for the kids & the kids at heart, an ENORMOUS KTHN overlooking the picturesque LVNGRM with a custom-built STONE FRPLC & windows that highlights the natural lighting from all angles. It comes with a MSTR BTH with dual sinks & a rain showerhead"
"Grand layout of this Silver Creek Crossing Jewel! The Colonial Style custom home awaits your approval. Situated on well over a half acre, the 5 bedroom, 3.5 bath awaits it's next owner. Large back yard retreat gives you the privacy to enjoy the pool and spa or simply enjoy nature. The porte-cochere connects the garage that includes an additional bonus space, man cave, or area of your desire. Amenities in include 2 master bedrooms, walk in closets throughout, marble, slate, and wood flooring, 2 f"
"You have found your next quiet and peaceful established neighborhood on Wyndmere. Shade from the pecan trees guides you to the front entry. The formal dining and living areas welcome you in. Great meals await in the gourmet kitchen. Plenty of closets and storage space throughout create options to adapt this versatile home to your lifestyle. The two fireplaces invite you to relax and enjoy the quiet luxury of the home, where crown moldings and hardwood floors reflect the touches that set this"
"****Fully Updated****with new carpet, sherwin williams paint updated bathrooms vanities and vessel sinks. Spacious 2-story home with 4 bedrooms, 2 living areas, 2 Dining areas Office, double staircases, and a balcony that overlooks the pool and spa. Three-car garage. 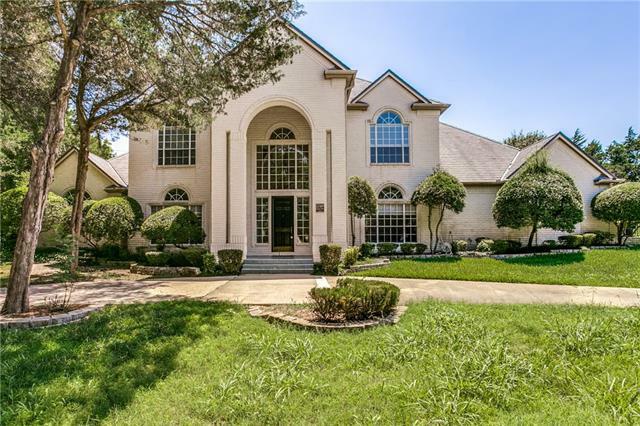 Located in prestigious Frost Farms II. Master and one bedroom down, two bedrooms up. Fireplace in Master Suite. Ready for its new owners! Built-ins throughout. Upstairs living area has wet bar. 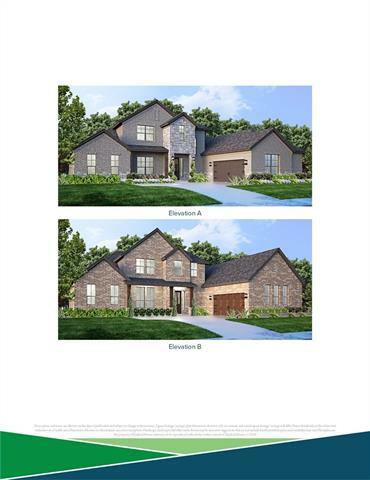 Less than two minutes to Thorntree Co"
"MLS# 14064330 - Built by First Texas Homes - June completion! ~ Lovely home wstone arch entry. Beautiful wood floor entry & family room. Granite countertop, double oven, 5-burner cooktop & California island in kitchen. 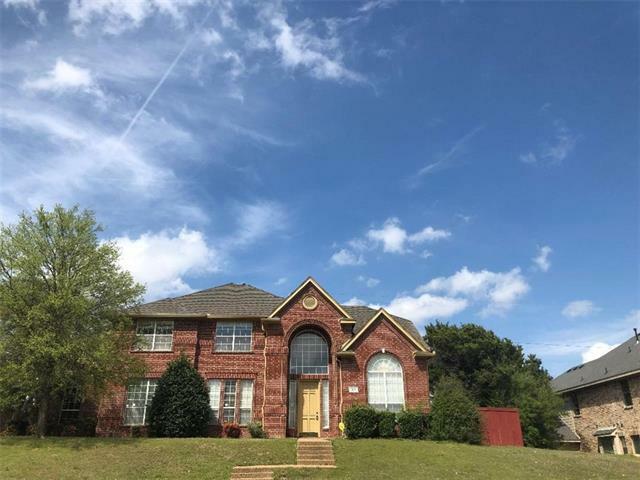 Curved staircase, stone fireplace to ceiling, jetted tub in master bath, 3-car garage, gutters, radiant barrier decking, full sod front & back, tankless water heater and much more!"